Posted on January 14, 2016 by Deli Lanoux, Ed.D. After dad died, mom would lie in bed to pray with my little brother and me every night. “What happens if I fall asleep before we finish the rosary?” I’d ask. “The Blessed Mother will finish it for you,” she’d whisper before starting a rhyming prayer that I absolutely loved. Even though I didn’t understand all the words, I’d find comfort in the cadence, try to keep up with the prayer, and visualize the story in bold colors until I fell asleep. Of course, time passed and life changed. I forgot to ask about the prayer until a couple of years before mom died. Mom had no idea what I was talking about! Over the years I tried to no avail to find the prayer online. One day I’ll meet someone versed in Spanish prayers, I thought. I’ll find the prayer when the time is right. Besides, the memory of us praying together still lingered vividly. And that was good enough! At Wednesday’s Bible study Lawanda shared that she falls asleep before she finishes her nightly prayers. “But I don’t worry about it. My guardian angel finishes them for me.” So I told her what mom had said when I was just six or seven. Then, out of the blue this evening, I started wondering about mom’s prayer again. Suddenly, a rose leaf fell on this Chicken Little’s tail: I can email Sr. Marta! I’ll bet she knows the prayer! Only I wanted to spell hortelanito correctly, so I looked online and— what do you know?!! Jesucristo se ha perdido. La virgen lo va a buscar, entre portal y portal, entre rosal y rosal. Debajo de un rosal blanco un hortelanito está. “Si señora, que lo he visto antes del gallo cantar. Entre judíos y judíos, bien acompañado va. Una cruz lleva en sus hombros que lo hacían arrodillar, una corona de espinas que lo hacían sangrar, una soga en su cuello que de ella tirando van. Ya le habrán clavado los pies. Ya le habrán clavado las manos. Ya le habrán tirado la lanza en su divino costado. La sangre que derramara se encuentra en el cáliz sagrado. El hombre que la bebiera será bien aventurado. Será rey en este mundo y en el otro coronado. El hombre que dirá esta oración todos los viernes del año salvará un alma de pena y la suya del pecado. Quien lo sabe no lo dice, quien lo oye no lo aprende y el día del juicio final verá lo que pase en el (Mendoza, 1939). While my version, as literal as possible, may not (at all) read as poetically as the original Spanish prayer, the story ties in sweetly, poignantly to the stations of the cross. For starters, an hortelanito is someone who takes care of plants and/or crops, like a gardener or a field laborer. In this instance, the man, referred to diminutively (with affection and/or respect), is tending to the flowers in his care when Our Lady engages him about her missing son, Jesus. So the dialogue might be from the scene leading to the fourth station, “Jesus meets his mother,” while the rest of the narrative alludes to our salvation though Christ’s suffering that sorrowful, pivotal day. Jesus is lost. The Virgin is looking for him, door by door, rose bush by rose bush. Under the rose bush with white flowers a gardener stands. “Yes, ma’m. I saw him pass before the rooster crowed. Among the many Jews he was well accompanied. 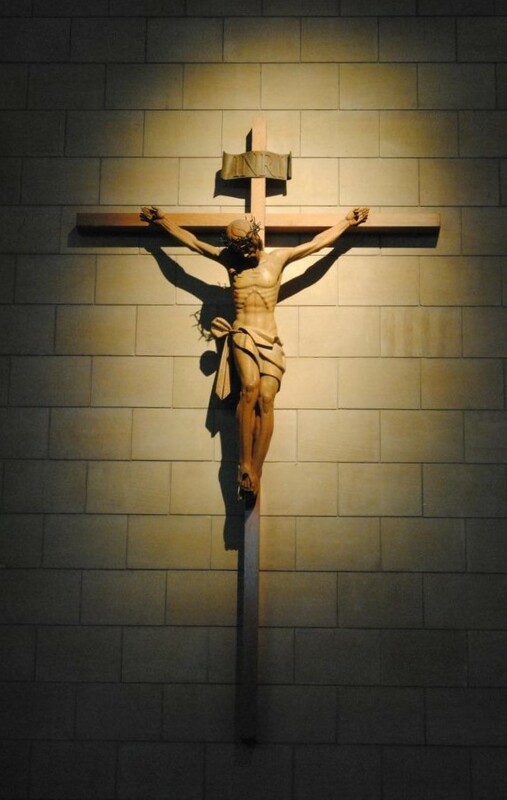 A cross carried on his shoulders that brought him to his knees, a crown of thorns that made him bleed, a rope around his neck from which they pulled on him. They have nailed his feet. They have nailed his hands. They have speared his divine side. The blood that has been shed is found in the sacred chalice. He who drinks from it will be well rewarded. He will be king in this world and crowned in the next. The man who recites this prayer every Friday of the year will save a soul from punishment and yours from sin. Whomever knows the prayer and doesn’t say it, whomever hears the prayer and doesn’t learn it, on the day of the last judgment will see what happens then. At the foot of the cross… Mother of mercy and love, blessed virgin Mary, I am a poor and unworthy sinner; and I turn to you in confidence and love. You stood by your son as he hung dying on the cross. Stand also by me, a poor sinner, and by all the priests who are offering Mass today here and throughout the entire Church. Help us to offer a perfect and acceptable sacrifice in the sight of the holy and undivided Trinity, our most high God. Amen. 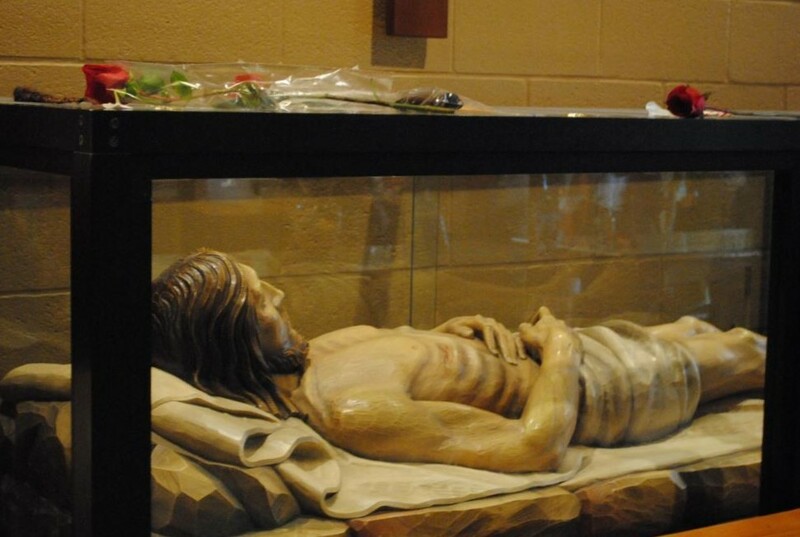 Heartfelt request… O Mother of Sorrows, who could express the cruel anguish of this moment? The same child that you once wrapped in swaddling clothes amidst unspeakable joy, you now wrap silently in his burial shroud. Your tears mingle with the blood and dirt that covers his broken body. But even in this moment your trust in his promise did not die. Your mourning was not without hope, for you knew that he would rise again from his grave just as he promised. Through this bitter sword of sorrow obtain for us the grace to believe with unshakable hope in the victory of our Lord, even in the darkest moments of life. Amen. 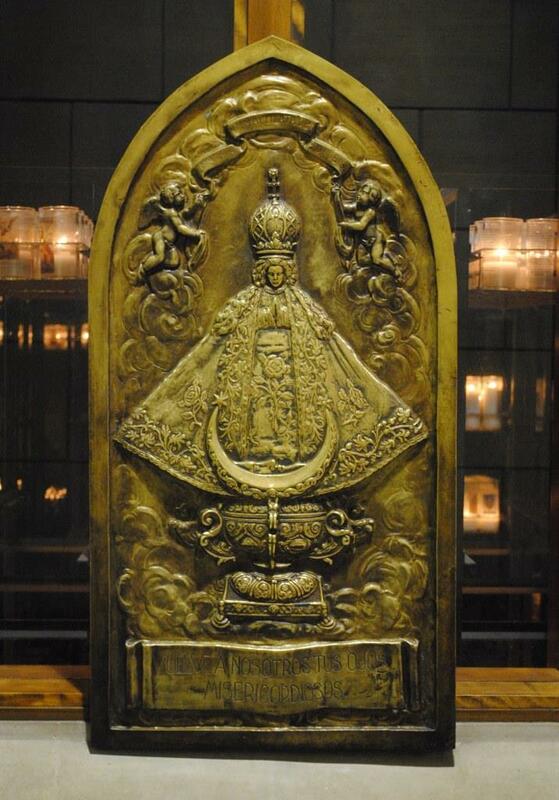 Novena to Our Lady of San Juan… Amada Virgen de San Juan de los Lagos, cuídanos de todo mal, acompáñanos en nuestra vida, y libéranos de todo tipo de pecado. (Haga su petición.) Doy gracias a Dios y a la virgen de los lagos por el favor concedido. Our Lady of Sorrows… Father, as your son was raised on the cross, his mother, Mary, stood by him, sharing his suffering. May your Church be united with Christ in his suffering and death and so come to share in his rising to new life where he lives and reigns with you and the Holy Spirit, one God forever and ever. Amen. Prayer of abandonment… Father, I abandon myself into your hands; do with me what you will. Whatever you may do, I thank you. I am ready for all; I accept all. Let only your will be done in me and in all your creatures. I wish no more than this, O Lord. Into your hands I commend my soul. I offer it to you with all the love of my heart; for I love you, Lord, and so need to give myself, to surrender myself, into your hands without reserve and with boundless confidence, for you are my Father (Charles de Foucald).